With just over eight minutes to go in the opening quarter of Charlotte’s only home game against Portland, BJ Mullens caught a swing pass from Michael Kidd-Gilchrist. Upon collecting the basketball, Mullens immediately proceeded to shoot a three-pointer. It’s something he does over five times per game, and as he does more than 70% of the time, he missed. 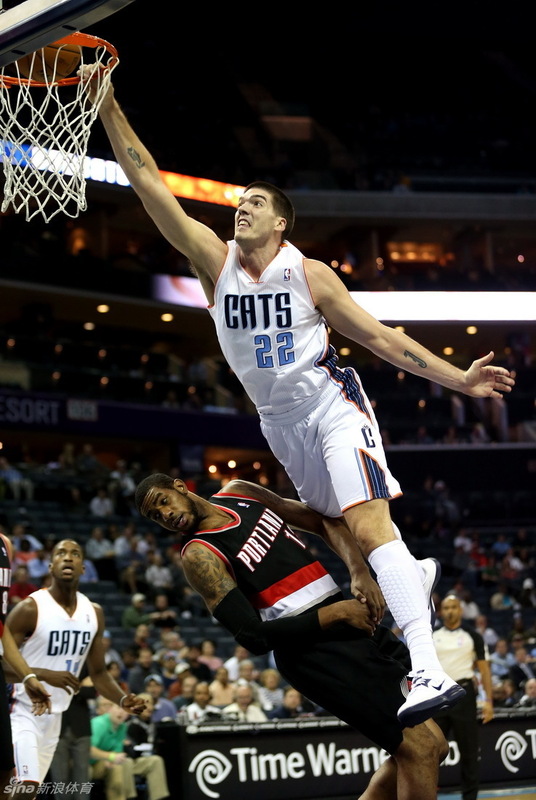 Much to the chagrin of Bobcats fans, it appeared as though the most stereotypical BJ Mullens possession had just unfolded. However, in this particular instance, the play was far from over. Mullens just so happened to come up short on his attempt, causing the ball to ricochet hard off the front of the rim. Like a boomerang, it shot right back in BJ’s direction, coincidentally serving as a well-placed pass that led him into the lane. Once again, Mullens collected the basketball… but this time he did so with a much, much different intent. With his lead foot planted outside of the dotted line, Mullens exploded off the floor. He leaned towards the basket, extended his right arm, and toppled a helpless LaMarcus Aldridge like a bowling pin. Using all 7 feet, 1.5 inches of his wingspan, BJ Mullens completed the finest play of his NBA career. And I missed it. Figures that I’d tune into a Bobcats game midway through the first quarter to find that they already had 22 points and BJ Mullens had thrown down the second or third best dunk of the season. What were the odds?